TUESDAY, Dec. 15, 2015 (HealthDay News) -- New research finds brain "scarring" in many members of the U.S. military who suffered concussions during the wars in Afghanistan and Iraq. "More than half of the military service members we studied have one or more lesions on the brain that can be thought of as scars in their brains," said study lead author Dr. Gerard Riedy, a radiologist specializing in the brain at Walter Reed National Military Medical Center. The study involved more than 800 service members with blast-related concussions. More than four out of five reported one or more blast-related incidents, and almost two-thirds said they lost consciousness. According to Riedy, the new study "is just the tip of the iceberg" in terms of research into how soldiers are affected by these often-devastating injuries. The Armed Forces Health Surveillance Center estimates that more than 300,000 service members were diagnosed with traumatic brain injuries between 2000 and 2015. Bombs often caused the injuries. Concussions, the focus of the new study, are the mildest of these brain injuries. But they may differ from the concussions caused by car accidents, sports collisions or falls in civilian life, the study authors said. National Football League statistics, for example, show that it's rare for football injuries to cause a player to lose consciousness, Riedy said. "In addition, a bomb going off and a linebacker hitting you are very different," he said. Also, a football player is typically taken off the field after a head injury. "In the military when an IED [improvised explosive device] goes off, that is usually just the start of the action. There are no timeouts, and when a service member wakes up after loss of consciousness they must often have to perform in a chaotic and hostile situation," Riedy said. "Some researchers believe that this is a contributing factor to the high incidence of post-traumatic stress disorder in these patients." In the study, 834 service people who suffered traumatic brain injuries (mostly concussions) from 2009 to 2014 underwent MRI brain scans, as did 42 adults without head injuries. Bombs caused 84 percent of the brain injuries. 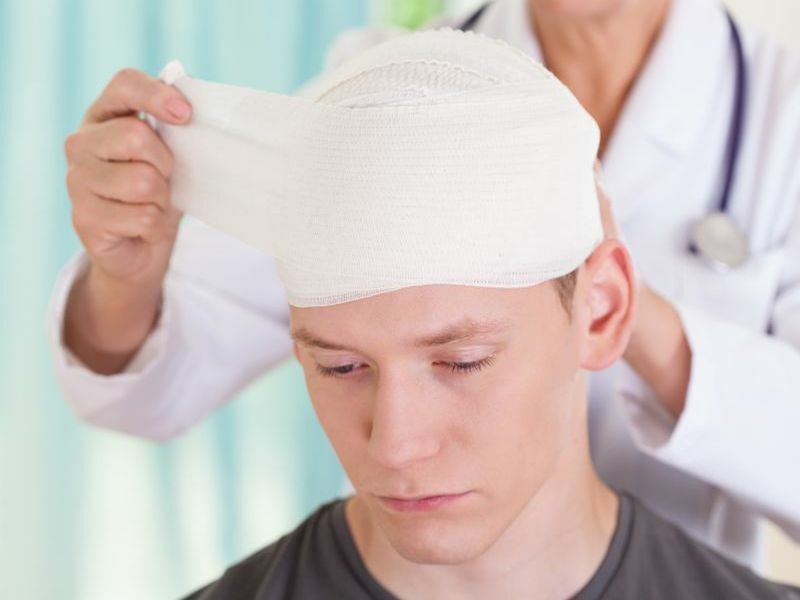 The researchers said they saw signs of brain scarring in 52 percent of injured patients, small areas of bleeding in 7 percent and signs of pituitary gland abnormalities in 29 percent. The pituitary gland, which produces crucial hormones in the body, is located at the base of the brain. The results are important, Riedy said, because they can lead to more accurate diagnoses. The study results were published in the Dec. 15 online edition of Radiology. However, one expert said the findings by themselves aren't necessarily cause for concern. Dr. David Cifu, professor of physical medicine and rehabilitation at Virginia Commonwealth University, said the study patients don't represent most of those who suffered concussions in the military. The study participants were more severely affected by their injuries and required special treatment, he said. As a result, the findings "may not apply to the vast majority of servicemen, veterans or civilians with concussion," he suggested. Cifu also said the findings of "extremely minor and small" brain scarring aren't a major cause for concern. "In the overwhelming majority of individuals, it will mean nothing," Cifu said. "In a small number, the small areas of structural damage will cause problems, but this is rare." Also, the pituitary gland findings probably aren't meaningful, added Cifu, who wasn't involved in the study. Cifu said proper care can aid recovery from traumatic brain injury. The best approach is to treat specific symptoms and look for rehabilitation strategies that allow patients to manage their lives and adapt, he added. Over the long term, it's important to stay fit, eat a nutritious diet, avoid isolation and keep the mind active, he said.